ARLINGTON, VA; July 12, 2017 (UPDATED August 23, 2017) – PBS announced its fall 2017 lineup, as well as the January 2018 broadcast of TONY BENNETT: THE LIBRARY OF CONGRESS GERSHWIN PRIZE, a PBS music special taping this fall to honor the singer, this year’s recipient of the Library of Congress Gershwin Prize for Popular Song. FINDING YOUR ROOTS WITH HENRY LOUIS GATES, JR. returns with a new season (October 3) to explore the fascinating family trees of popular figures including Aziz Ansari, Scarlett Johansson, Larry David, Garrison Keillor, Amy Schumer, Ted Danson, William H. Macy, Mary Steenburgen, Ana Navarro, Christopher Walken, Ava DuVernay, Bryant Gumbel and others. And in a weekly Friday night salute to Broadway from October 20 to December 1, PBS raises the curtain on three of the Great White Way’s most acclaimed recent musical productions. GREAT PERFORMANCES presents “She Loves Me” (October 20), “Holiday Inn” (November 24) and “Indecent” (November 17), along with the acclaimed revival of “Present Laughter” (November 3) and encores of “In the Heights – Chasing Broadway Dreams” (November 10) and “Hamilton’s America” (December 1). Continuing its tradition of hard-hitting journalism, FRONTLINE examines Russian President Vladimir Putin in a two-part documentary exploring his rise, rule and motivations (October 25 and November 1). THIRD RAIL WITH OZY is a new primetime cross-platform debate series hosted by Emmy-Award winning journalist Carlos Watson. Each week experts, celebrity guests, and digital and studio audiences will tackle a provocative question about the country’s critical issues. Guests include businessman Marc Cuban and acclaimed journalist Gretchen Carlson (September 8). Anchoring the fall 2017 season on PBS is the previously announced THE VIETNAM WAR, the 10-part epic series directed by Ken Burns and Lynn Novick, premiering Sundays-Thursdays, September 17 to September 28. Fall brings a harvest of great drama on PBS. MASTERPIECE returns with fresh seasons of “Poldark” (Sundays, October 1-November 19), starring Aidan Turner, and the fun family drama “The Durrells in Corfu” (Sundays, October 15-November 19). Other dramas include ANNE OF GREEN GABLES – THE GOOD STARS (November 23) and new holiday specials from CALL THE MIDWIFE (December 25) and LAST TANGO IN HALIFAX (Sundays, December 17-24). Additional fall highlights include DAVID LETTERMAN: THE KENNEDY CENTER MARK TWAIN PRIZE (November 20) as well as new AMERICAN MASTERS specials about Richard Linklater (September 1), Tyrus Wong (September 8), Edgar Allan Poe (October 30) and Bob Hope (December 29). The GREAT PERFORMANCES series, LANDMARKS LIVE IN CONCERT, returns with a special featuring the Foo Fighters (November 10). PBS science programming offers an in-depth look at the solar system and beyond with NOVA “Death Dive to Saturn” (September 13), about the Cassini space probe’s final hours as it dives into Saturn’s atmosphere. In collaboration with Time Magazine, BEYOND A YEAR IN SPACE (November 15) picks up the story after Scott Kelly’s return from a historic year-long space journey and introduces the next generation of astronauts training to leave Earth’s orbit and travel into deep space. Other notable programs include POV “Almost Sunrise” (November 13), about two veterans who embark on a 2,700-mile trek on foot across America, timed to Veterans Day, and the season opener for INDEPENDENT LENS, “Chasing Trane” (November 6), a portrait of jazz great John Coltrane. The fall season includes additional shows, specials and series. Please check full listings below. For more information about fall programs, visit pressroom.pbs.org. 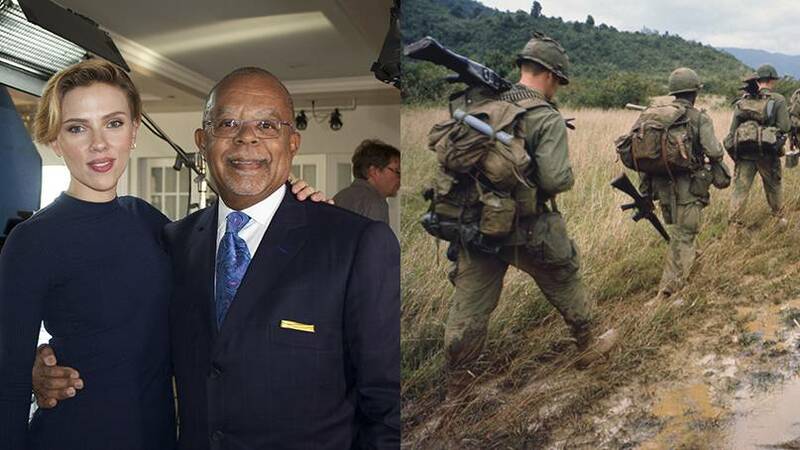 Ken Burns and Lynn Novick direct a 10-part, 18-hour documentary series that tells the epic story of the Vietnam War as it has never before been told on film. Features testimony from nearly 80 witnesses, including many Americans who fought in the war and others who opposed it, as well as Vietnamese combatants and civilians from both sides. The acclaimed series returns with Professor Gates exploring the mysteries, surprises and revelations hidden in the family trees of popular figures including Larry David, Bernie Sanders, Garrison Keillor, Amy Schumer, Aziz Ansari, Fred Armisen, Christopher Walken, Carly Simon, Ta-Nehisi Coates, Ava DuVernay, Janet Mock, Ted Danson, Mary Steenburgen, William H. Macy, Bryant Gumbel, Suzanne Malveaux, Tonya Lewis-Lee, Lupita Nyong’o, Carmelo Anthony, Ana Navarro, Tea Leoni, Gaby Hoffmann, Questlove, Dr. Phil, Charlayne Hunter-Gault’s, Scarlett Johansson, Paul Rudd and John Turturro. Enjoy a sparkling revival of Noël Coward's Present Laughter, a comedy about a self-obsessed actor in the midst of a mid-life crisis. The cast features Kevin Kline, who won the Best Leading Actor Tony Award, as well as Kate Burton, Kristine Nielsen and Cobie Smulders. In the aftermath of the phenomenal success of Lin-Manuel Miranda’s blockbuster Broadway musical Hamilton in 2016, GREAT PERFORMANCES presents a special encore of “In the Heights: Chasing Broadway Dreams,” a performance-documentary chronicling the story behind Miranda’s first Tony Award-winning hit in 2008. A new play from Pulitzer Prize-winner Paula Vogel and director Rebecca Taichman is set at a time when waves of immigrants were changing the face of America. The Tony Award-winning drama with music, a riveting look at an explosive moment in theatrical history, is inspired by the true story of the controversial 1923 Broadway debut of Sholem Asch’s God of Vengeance. Follows the creation of Lin-Manuel Miranda’s pop culture Broadway phenomenon, Hamilton, and the history behind it. Interviews with Presidents Barack Obama and George W. Bush, Nas, Questlove, Stephen Sondheim and more. For months, reports of Russian interference in the 2016 U.S. presidential election have dominated the headlines. But what does Vladimir Putin really want? In a special two-part documentary with original reporting from Moscow and Washington, DC, FRONTLINE filmmaker Michael Kirk and the series’ award-winning political team examine Putin’s rise, rule and motivations. Against the backdrop of investigations by the FBI and Congress into possible collusion between Trump campaign members and Russian officials, the documentary traces how Putin went from low-ranking KGB agent to long-serving president of a newly assertive Russia with the ability to wage cyber-war in the U.S. and across the globe. Join Emmy Award-winning journalist Carlos Watson for this seven-part cross-platform series. Each week, expert and celebrity guests engage with Watson to debate a timely, provocative topic, incorporating audience and social media input and exclusive national polls. Guests this season include: restaurateur and Viceland contributor Eddie Huang, author and Wharton professor Adam Grant, businessman Marc Cuban, political advocate Grover Norquist, acclaimed journalist Gretchen Carlson, author and professor Roxane Gay, humorist and TV correspondent Mo Rocca, and more. For more than 45 years, MASTERPIECE has enthralled audiences with period and modern British dramas and mysteries, interpreted by the world’s foremost actors. Season 3 finds Ross and Demelza attempting to repair their relationship, while George Warleggan builds his empire to crush the Poldarks. Elizabeth harbors a dangerous secret, and Dwight is captured during the war with France. Will Ross risk everything to save his friend? Louisa Durrell (Keeley Hawes, Upstairs Downstairs) and her four willful children return in the acclaimed series called “irresistible” (The Wall Street Journal) and “gorgeous” (USA Today). The second season continues to chronicle the family’s adventures with the island’s townspeople, customs and wildlife. A couture fashion house in post-war Paris serves as the setting for this exploration of the gritty truth behind the glamour of a rising business, spearheaded by two clashing brothers. The atelier staff survived the war, but now they face rivalries, romances and scandal in the fashion capital of the world. Anne turns 13 and faces complex situations with friends, adults and Gilbert. Her free-spirited nature is challenged by her perceived need to be sensible, a journey fraught with confusion and some unfortunate — albeit amusing — mishaps. Packed with shocks and surprises, the heartwarming drama continues the compelling story of childhood sweethearts, reunited after nearly 60 years apart, as they and their families negotiate the highs and lows of life and relationships. With Poplar under a thick blanket of snow, the midwives face the challenge of the coldest winter in 300 years. Battling snow, ice, power cuts and frozen pipes, the midwives strive to provide care for their patients. An in-depth look at the solar system and beyond, highlighting NASA’s historic Voyager mission, the Cassini space probe’s mission to Saturn, and a glimpse of astronauts training for the next giant leap for mankind – the journey to Mars. Learn how NASA’s epic Voyager missions, launched in 1977, revolutionized our understanding of Jupiter, Saturn, Uranus, Neptune and their dazzling moons and rings. In 2012, Voyager 1 left our solar system and ushered humanity into the interstellar age. For more than a decade, the Cassini space probe has been sending dazzling images of Saturn’s breathtaking rings and mysterious moons. A suspenseful ride during Cassini’s final hours as it dives into Saturn’s atmosphere. Picking up where the first film left off — Scott Kelly’s last day in space and return to Earth — the final installment also introduces the next generation of astronauts training to leave Earth’s orbit and travel into deep space. Experience the splendors and compelling stories of the natural world from all over the globe. Born inside a rescue camp in the wilderness of Botswana, Naledi the Baby Elephant loses her mother and faces the world alone. It is now up to a devoted team of caretakers to urge Naledi to survive and help find her place in the herd. Helen Macdonald’s best-selling book H Is for Hawk told the story of a grieving daughter who found healing in training a goshawk. Now she digs deeper into the world of these raptors by following a family in the wild and raising a goshawk of her own. Explore the science behind the headlines in the premier science series on PBS. Discover what it was like to be a knight in shining armor and follow the historic manufacturing process. Who built Stonehenge and why? Discover how the last decade of groundbreaking archaeological digs has revealed major new clues to Britain’s enigmatic 5,000-year-old site and the people who constructed it. Discover the ingenious engineering of Beijing’s Forbidden City, the power center of imperial China for nearly 500 years. Discover how the design of this vast complex of palaces and temples enabled it to survive centuries of earthquake shocks. Uncover geologic fingerprints of colossal floods that violently reshaped the ancient world. Follow geologists around the globe as they reconstruct catastrophic Ice Age floods more powerful than all the world’s top ten rivers combined. Explore the lives and creative journeys of America’s most enduring artistic and cultural giants. An unconventional look at the fiercely independent filmmaking style that emerged in the late 1980s-90s, sparked by the Oscar-nominated filmmaker of Boyhood, Slacker and Dazed and Confused. Features never-before-seen footage and interviews. Discover the art, life and enduring impact of Tyrus Wong, the renowned Chinese-American painter behind Bambi and Rebel Without a Cause, who once exhibited with Picasso and Matisse, via new and never-before-seen interviews, movie clips and art. Discover the real story of the notorious author, starring Denis O’Hare as Edgar Allan Poe. Explores the misrepresentations of Poe and reveals how he tapped into what it means to be human in a modern and sometimes frightening world. Explore the entertainer’s life with unprecedented access to his personal archives, clips from his classic films (“The Road” pictures, My Favorite Blonde), radio and TV shows, and interviews with Chevy Chase, Tom Selleck, Brooke Shields and others. Celebrate beloved talk show pioneer David Letterman, the 20th recipient of The Kennedy Center Mark Twain Prize for American Humor. Take an intoxicating musical journey where past, present and future collide in joyful celebration. A US-Cuba collaborative musical showcase, this performance-documentary provides context on the cultural scene in today’s Cuba through evocative performance segments. Born in Miami to Cuban parents, GRAMMY-winning Raul Malo, bandleader of The Mavericks, hosts. The series joins forces with the Recording Academy to produce a second all-star concert organized around the Grammys 2017 Lifetime Achievement honorees including Shirley Caesar, Ahmad Jamal, Charley Pride, Jimmie Rodgers, Nina Simone, Sly Stone and the Velvet Underground. Performances by Dionne Warwick, Randy Newman, Dwight Yoakam, Catherine Russell, and more. In the 22 years since the 1995 release of Foo Fighters’ self-titled debut album, Dave Grohl, Taylor Hawkins, Nate Mendel, Chris Shiflett, Pat Smear and Rami Jaffee have grown into the last great American arena/stadium rock band, garnering 11 Grammy Awards, selling 25 million records and raising tens of thousands of voices night after night in concert with modern rock’s most indelible anthems. Hosted by Chad Smith, drummer for multi-Grammy winning rock band Red Hot Chili Peppers, this Landmarks Live concert captures the group in peak performance at the iconic ancient amphitheater at Athens’ Acropolis. The country’s premier Latino dance company presents two of its iconic works: CARMEN.maquia, a modern take on Bizet’s passionate opera, and Club Havana, a virtuosic reimagining of a sizzling nightclub by Cuban-born choreographer Pedro Ruiz. A poignant and hilarious look at a modern family set amidst the emerging AIDS crisis. Christian Borle stars as Marvin, with Stephanie J. Block as his ex-wife and Andrew Rannells as his lover. From acclaimed director Steve James (The Interrupters), Abacus: Small Enough to Jail tells the saga of the Chinese immigrant Sung family, owners of Abacus Federal Savings of Chinatown, New York. Accused of mortgage fraud by Manhattan District Attorney Cyrus R. Vance, Jr., Abacus becomes the only bank prosecuted after the 2008 financial crisis. The indictment and subsequent trial forces the Sung family to defend themselves – and their bank’s legacy in the Chinatown community – over the course of a five-year legal battle. assassination, and sheds light on his intentions and capabilities. How Scott Pruitt went from fighting the EPA to running the agency and rolling back years of policy. An investigation into the conservative political forces and causes, like climate change skepticism, that propelled Pruitt’s takeover of the EPA. Features documentaries united by the creative freedom, artistic achievement and unflinching visions of independent filmmakers. Explores the life and music of jazz great John Coltrane, from his Southern childhood to his years with Miles Davis to his tenure as leader of one of jazz’s most revered quartets. Featuring Denzel Washington speaking the words of Coltrane. Discover the shocking reality of the global arms trade through the stories of those who perpetrate and investigate this shadow economy – the only business that counts its profits in billions and its losses in human lives. Meet Naomi, a seemingly ordinary Orthodox Jewish preteen from New Jersey whose extraordinary talent — breaking world powerlifting records — turns her into an international phenomenon in this unique coming-of-age story. The longest-running television showcase featuring the work of America’s best contemporary-issue independent filmmakers. The season lineup (previously announced) continues this fall. In an attempt to put haunting combat experiences behind them, two friends embark on a 2,700-mile trek on foot across America.